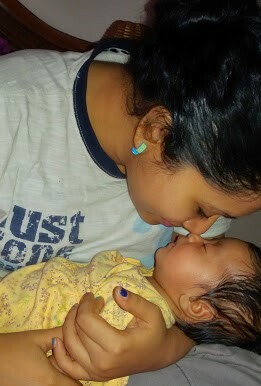 Becoming a mother is the most rewarding experience - no doubt about it but a grueling task nonetheless. From the time of conception, motherhood is a tough and never-ending journey. The first hurdle of motherhood is, of course, the postpartum phase. Being a physician and mom myself, I decided to throw light on one of the most overlooked aspects of motherhood - postpartum health of the mother. If you have delivered normally, you need to take care of your episiotomy stitches. The area needs to be dry and the wound should be dressed regularly till it heals completely. For C-section, one needs to wear an abdominal belt after about 10 days of surgery. During any high pressure activity like coughing or sneezing, support your wound with hands. Do not strain during stools as it is normal to be constipated. Include fibre rich foods in your diet like fresh fruits and vegetables. Since the hormones relax the whole body for easy birth, all the ligaments become lax. That's why it is very common to twist your ankle during postpartum period. Hence, always wear flat shoes. Don't stoop down while picking up anything, squat down and then pick it up. Backache is the most common complaint in the postpartum phase. While feeding, use pillows on your lap to lift the level of your baby. Take the support of the headboard of your bed for your back. Maintain proper posture. Lactating mothers need to take calcium rich foods and a lot of fresh fruits and vegetables for that uninterrupted supply of antioxidants. You may want to weep without any apparent reason and that is perfectly normal. You may not be getting enough sleep every night. Try to sleep whenever your baby sleeps. Forget about household chores for good six months. If you can afford it, hire a help. Talk to other new mothers. Join a forum and discuss your woes. Develop a new hobby like reading a book or listening to music. Go for a walk. Exercise is the biggest mood elevator. Stay positive and surround yourself with people who make your life happier. Talking to your loved ones helps. Ask your parents for help. My mom took care of my three month old for three days so that I could go for a short getaway. I desperately needed a change. However, this didn’t fix everything immediately - it took 6 long months before I could finally come out of my postpartum depression. Start walking slowly after giving birth. You can do breathing exercises. Consult your doctor before starting anything rigorous. Avoid junk food. Concentrate more on fibre rich nutritious food rather than carbs. Don't do anything strenuous during the puerperal period. If everything is normal, you can resume exercising the way you did before conception. This can start 6 months after a Cesarean section and 3 months after a normal delivery. You can start with Yogic asanas, then proceed to running and gradually move on to strenuous ones like weight training. Always consult your doctor before starting any such regime. The health of a mother is equally important as the health of a newborn as she has to take care of the baby. It needs constant support of the husband and other family members. But apart from family and friends, another important support giver is the hospital where you give birth. This hospital will ultimately be responsible for providing you the care immediately after your baby is born. Thus, choosing the right hospital is a very important task. My ideal choice for post pregnancy care is Birthright by Madhukar Rainbow Children’s Hospital. After giving excellent care to new Mothers in the Southern part of India, Rainbow Children’s Hospital has now opened in Delhi, thereby extending its benefits. It is not just their advanced technology and research in postpartum care that has attracted me towards them. Their highly qualified doctors and experts are something you would rarely get anywhere else. Also, with their sheer variety of post pregnancy care programs and the post natal fitness regimes, one can be certain that they are not only aiming for your healthy recovery but your happiness as well. To know more about their benefits, click here. I'm with you on this one babe!! I just had my baby 6 weeks ago so I'm slowly getting back into the routine of things :) It takes time, but I'm letting my body heal! Great information for mothers and mothers to be.